It is an oval fruit with green skin and it contains black seeds involved in a white pulp. 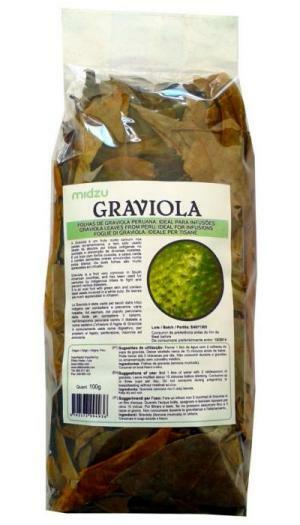 Its leaves are much appreciated for making infusions. Gluten free, suitable for coeliacs. Suggestions of use: Bring 1l of water to a boil. Add 2 tblspn. 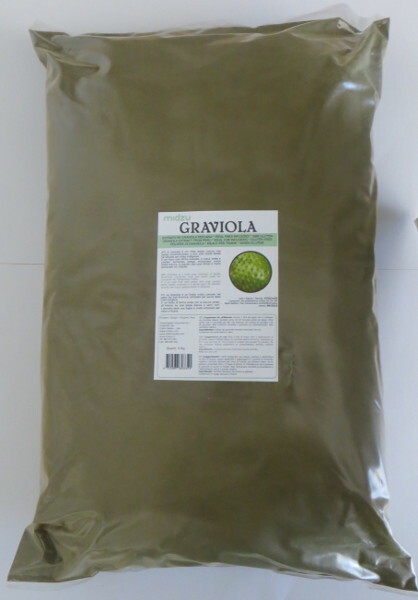 of graviola (soursop) and boil for about 1 minute. Then, cover for about 10 minutes. Strain and drink up to 2-3 cups per day. 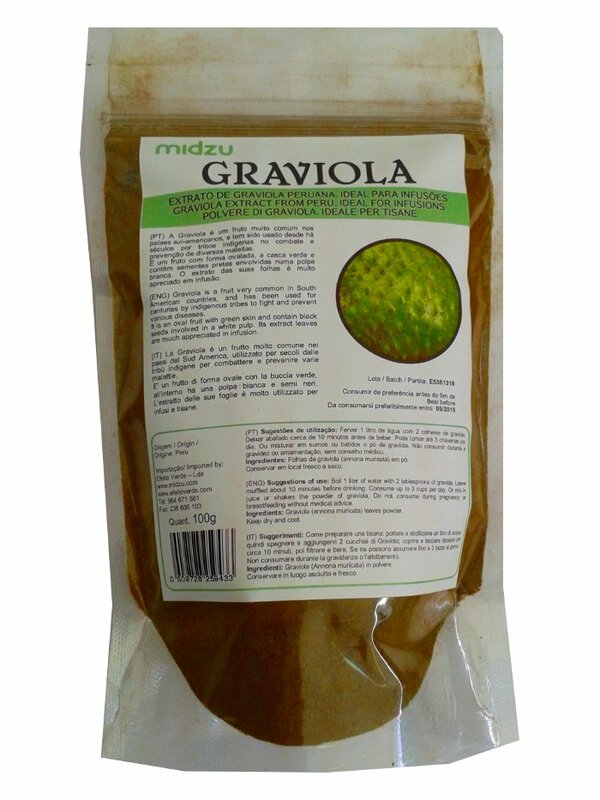 Ingredients: Graviola (annona muricata) leaves powder.